Continuing on from my journey, I have noticed a few changes to my teeth, my weight, my skin and my general health! 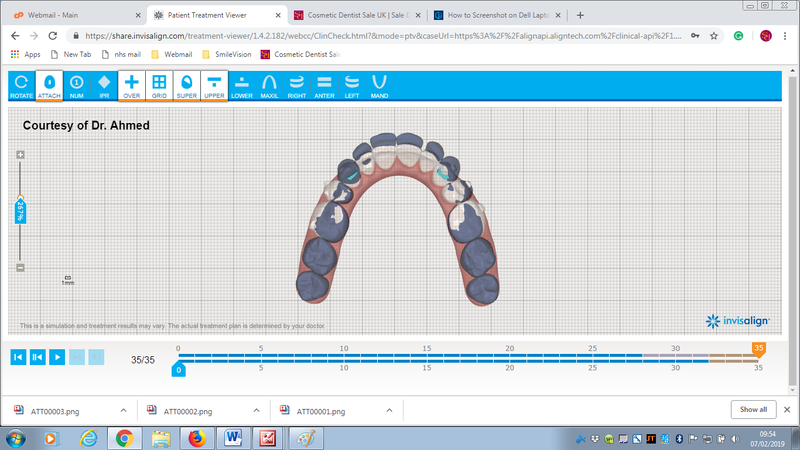 As you may know, when you receive your Invisalign braces for the first time, you pop in the aligners (they look the same as the trays you use for teeth whitening) and these are made to fit your mouth and the stage that your teeth are in as they start their journey to move back to where the ideal position will be at the end of your journey. So basically, from a person who had three set meals per day, as well as grazing throughout the day, which took the form of breakfast at 7.30am, mid morning snack at 10.30am, lunch at 12.30pm, afternoon snack at 3.30pm, dinner at 6pm then some nibbles later on in the night I have had to adjust my eating habits otherwise I would be constantly taking out the aligners, brushing my teeth, cleaning the aligners and replacing them with just a short gap before eating and doing the same routine again! The aligners also need to be in around 20-22 hours per day so this routine would reduce my chances of the treatment working properly. It was time to change my eating habits! My new routine is now breakfast, washed down with 2 cups of coffee at 7.30am, while I place my aligners in a glass of water with the Retainer Brite cleaning tablets for 15 minutes, then rinse them with water and place them back in my mouth, clean and fresh and ready for the day ahead! At 10.30am I now have a mug of warm or cold water (depending on the weather!) and no snack! I have lunch at 1pm (after taking out my retainers and placing them in my Invisalign container pod) which is a lot bigger now as I get hungry so usually have a bowl of hot hearty soup and some Organic Crispbreads. They come in a variety of flavours, but am working my way through the pack of Spelt and Muesli variety – I’m not particularly into organic foods but I tried these once and they were really crisp and tasty and the seeds are quite sweet which suits my “sweet tooth”! I always make sure I have a tea cake, cake or bar of chocolate washed down with a big mug of tea as it’s a bit of a guilty pleasure!! Next I brush my teeth really well, making sure I work my way round the temporary “buttons” placed on my teeth which hold the plastic aligners in the correct position. I rinse my aligners and then pop them back in. There’s no snack at 3pm now, I just rinse my mouth and have a bottle of sparkling water (which has no added sugar) to ensure the aligners are kept clean and clear and so my teeth still look white. Later on in the evening I start cooking dinner and if it’s Thursday onwards I mix myself a vodka and tonic or gin and tonic – well it is the start of the weekend!! ha I take out the aligners and put them in a glass of cold water and enjoy my well earned dinner! I used to eat some truffles, chocolates or crisps in the evening with a drink but to be honest I’m out of that (bad habit) too as I don’t want to take the braces out again, clean my teeth and replace them. I would rather sit back, run my teeth over the aligners and be glad that I am improving my teeth and looking after myself! As a by-product I’ve noticed over the past 10 weeks that my skin has become clearer! I used to get a few spots and had some pink patches as my skin is quite sensitive, but lately my skin is clearer, more even and has less dry patches. I can only put it down to my new healthy lifestyle! Obviously, I wouldn’t suggest Invisalign Braces are an aid to weight loss, but have definitely noticed a shift in my weight as I haven’t got a bloated stomach from the regular biscuit or cake snacks I used to eat and on top of this my skirts fit better around the waist, with a bit of give! I’ve always loved to improve myself, be it in my mind or body, so I’ve noticed that I am smiling more as I am happy in the knowledge that my teeth are becoming straighter and my teeth are getting less gappy by the day! 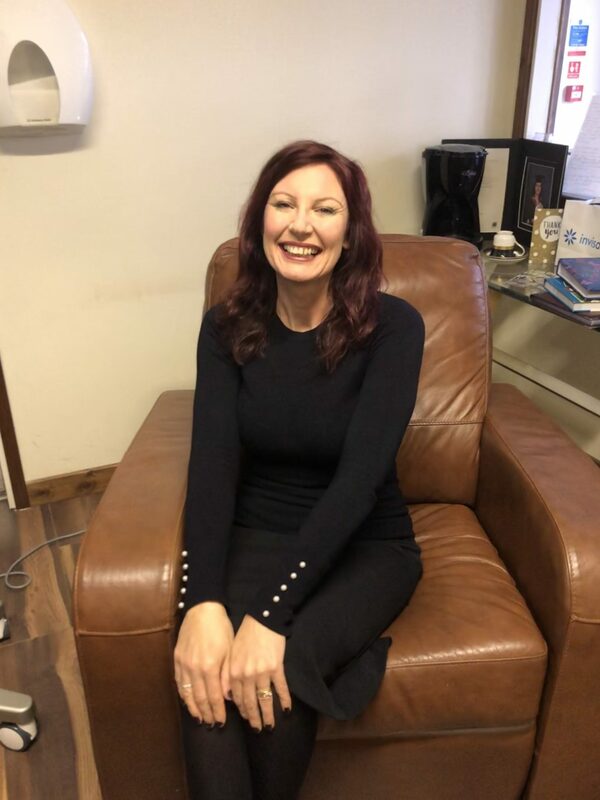 Who’d have thought the my Invisalign teeth straightening journey would result in me being healthier in my mind, skin and body as well as my teeth!? !